To say I’m no movie buff is an overstatement, but even I have heard of Sissy Spacek! Given my deficient memory, though, I could not recall her face or any movies in which I had seen her. I remedied that by watching the YouTube video Sissy Spacek Breaks Down Her Most Iconic Characters. The Coal Miner’s Daughter! The Help! Of course! What an actor, what a woman! Per Wikipedia, Castle Rock is an American psychological horror, science fiction series based on characters and settings from the stories of Stephen King that premiered on July 25, 2018 on Hulu. The series, starring André Holland, Melanie Lynskey, Bill Skarsgård, Jane Levy, and Sissy Spacek, intertwines characters and themes from the fictional town of Castle Rock, Maine (Wikipedia). In an August episode of Castle Rock, “The Queen,” Sissy Spacek “gives one of the year’s best single-episode performances in a stunning, hour-long examination of when inner and outer horror collide. 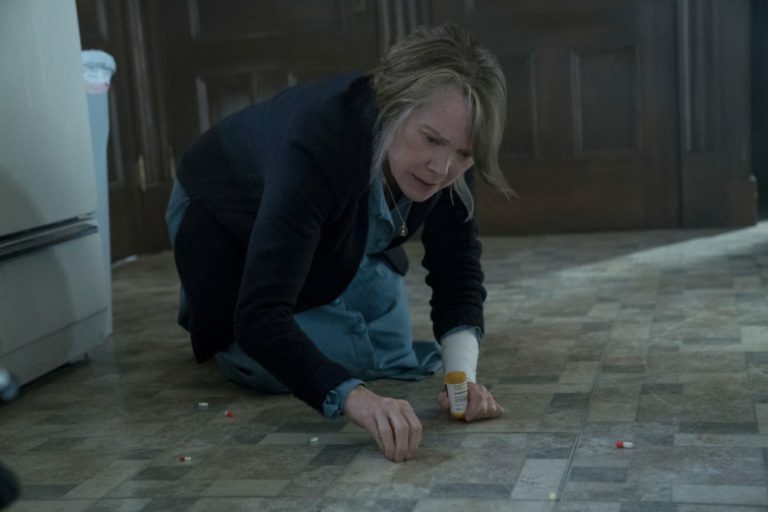 Her Castle Rock character, Ruth Deaver, is suffering from dementia, making her grip on reality even more tenuous as the world around her gets increasingly dangerous. The episode ends with a heartbreaking tragedy, made all the more resonant by the emotional gravity brought to it by Spacek” (Brian Tallerico, Vulture). Although anything by Stephen King terrifies me, I will watch “The Queen” on a day when Peter is there to watch with me. For the whole article about “The Queen” and interview with Spacek, read Sissy Spacek on Castle Rock, Stephen King, and Why She Still Watches Carrie. Memory’s Last Breath is a finalist in Utah’s 2018 15 Bytes Book Awards, Gerda reads at Sam Weller’s on October 18	Military metaphors vs Stockholm Syndrome: fighting Doña Quixote, aka my dementia, or cozying up to her? Gerda, you are brilliant; one doesn’t need to touch a star to see its shining light! Thank you for illuminating your life so beautifully, so perfectly…imperfect. Thanks so much for your kind and over -the-top comment, Donna. I appreciate your support, I eat up your extravagant comments! So very nice to have a brilliant actor give shout out to your brilliant book !